Printer with 9 dot matrix pins and 80 coloumns, reliable and easy to use. Thanks to its reduced size and compactness, it can be easily placed in places in which the available space is limited. Extremely versatile, it can print various types of documents in up to 4 copies besides the original one. 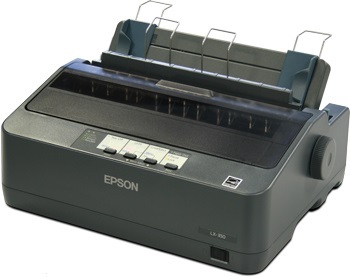 LX300PRO Dot matrix impact printer. RSCBLX (S1) RS232 cable l=1,5m for LX300, TM295 printers.